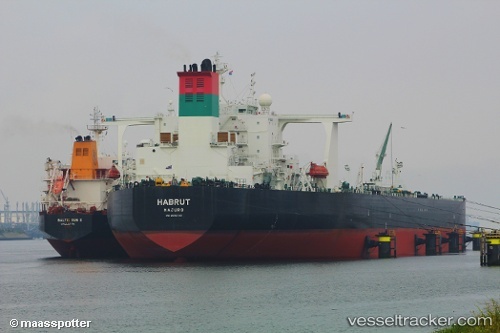 Oman Shipping Company (OSC) has received a new Very Large Crude Carrier (VLCC), namely Habrut. With this acquisition, the number of carriers commercially operated and owned by OSC have increased to 33, Times of Oman reports. OSC received Habrut, the 10th crude oil carrier during the ceremony held at the headquarters of Daewoo Company in Okbu city in South Korea. Habroot was designed as per the latest global standards in the VLCC industry using the latest navigation and safety technologies and tools that enable the carrier to work in different climate conditions. It has also been provided with the ballast water treatment technology to comply with international conventions on the protection of the environment from the effects of transportation of ballast water and sediments around the world. Habroot has a 317,000 deadweight ton (DWT) capacity,. It is 333 metres in length, 60 metres in beam and has a design draft of 21 metres. The carrier will be technically managed by the Dubai-based International Tanker Management.